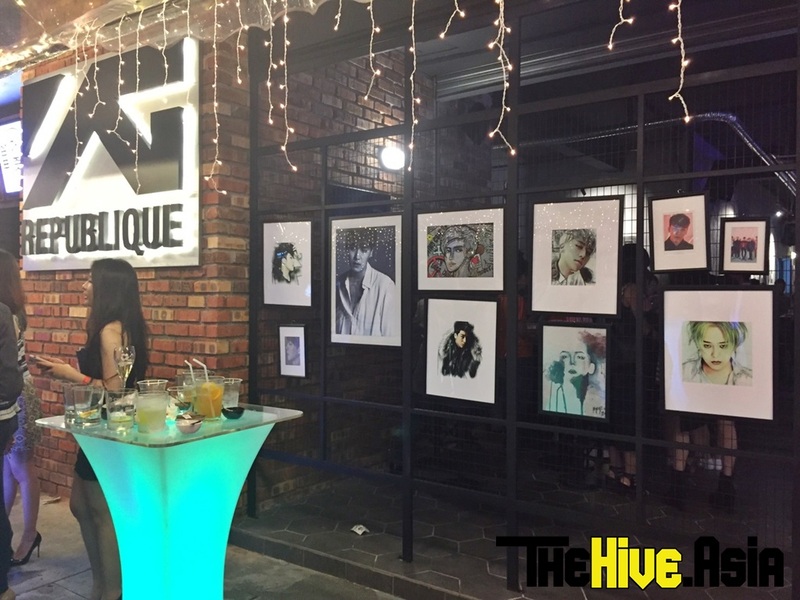 YG fans – VIPs specifically – had quite a fantastic Friday night when one of BIGBANG’s members, Seungri, touched down in Kuala Lumpur, Malaysia to attend the launch of YG Republique at TREC. Accompanied by fellow K-idols FT Island leader Choi Jong Hoon and Drug Restaurant’s frontman Jung Joon-young, as well as Natural High Record (NHR) DJs Danu, Glory and TPA, Seungri walked the red carpet on Friday night, greeted by the sound of screaming VIPs (the fans, not the business suit-clad Very Important Persons). 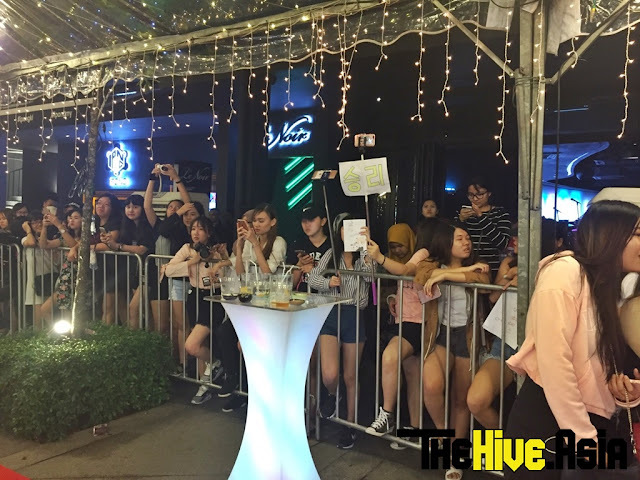 Fans had been waiting at the latest nightlife hotspot since morning even though the singer was only scheduled to arrive later in the evening. Their wait was not futile as they finally get to lay eyes on the smiling Panda (Seungri fans know), albeit momentarily, before Seungri entered the premises of YG Republique. Seungri, Jong Hoon and Joon-young later autographed some of the pig balloons adorning the restaurant and posed with them for a group photo (pictured above). Throng of fans waiting to catch a glimpse of their favourite K-idols. Can you spot how many Seungri there are in these framed photos? 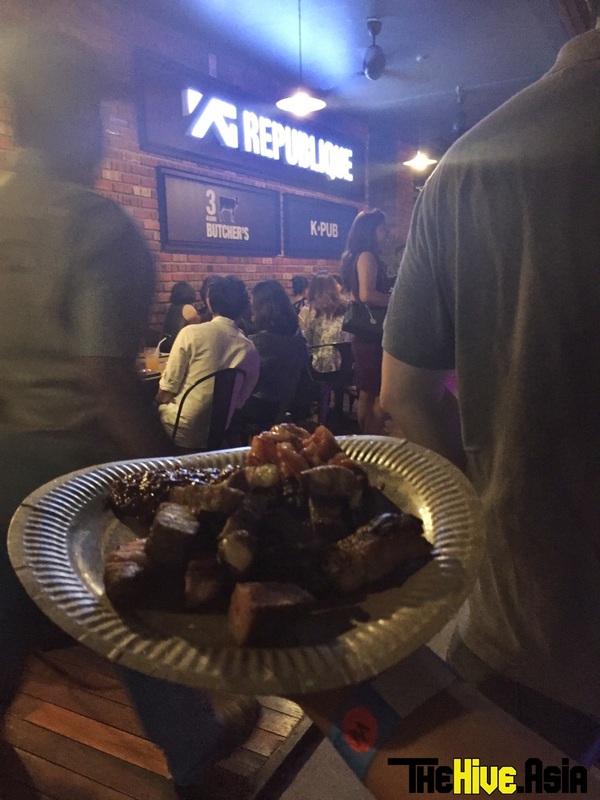 Guests at the launch get to taste the complimentary BBQ meat. Prior to the arrival of the Korean stars, the launch was kicked off with a lion dance performance and ribbon cutting ceremony. “We are very proud to have extended our footprint in Kuala Lumpur. We are working closely with Ms Sainy, our local partner and an experienced restaurateur, to bring the authenticity of 3Geori Butcher’s and K Pub in various aspects. 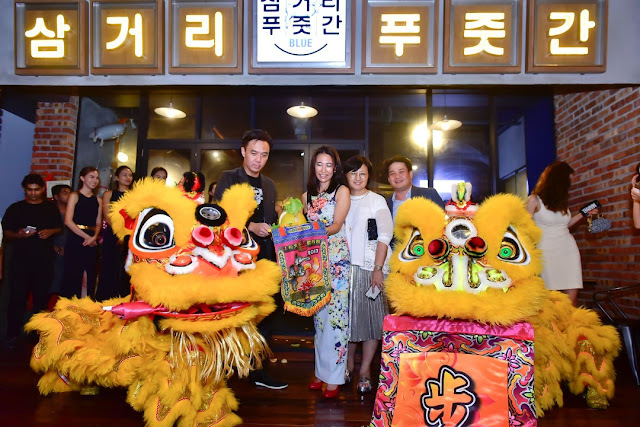 We are proud to see another venue in this country that will also cater to new audiences as well as its faithful fans,” said Noh Hee Young, CEO of YG Foods [Korea]. Meanwhile Cher Ng, co-founder of TREC KL and Zouk KL, stated that the opening of YG Republique is “significant as it is the first international F&B brand to set foot at the estate”, adding that it was also a milestone for Zouk as Seungri and his label DJs were performing for the very first time at the club on the same night. and Dato' Douglas Cheng (Partner of YG Republique Malaysia) at the opening ceremony. Seungri hanging out with TPA, Danu and Glory. Seungri greeting fans as he walks down the red carpet. As midnight drew near, the BIGBANG maknae and his entourage emerged on the red carpet once again to make their way towards Zouk, where the after party was to be held. 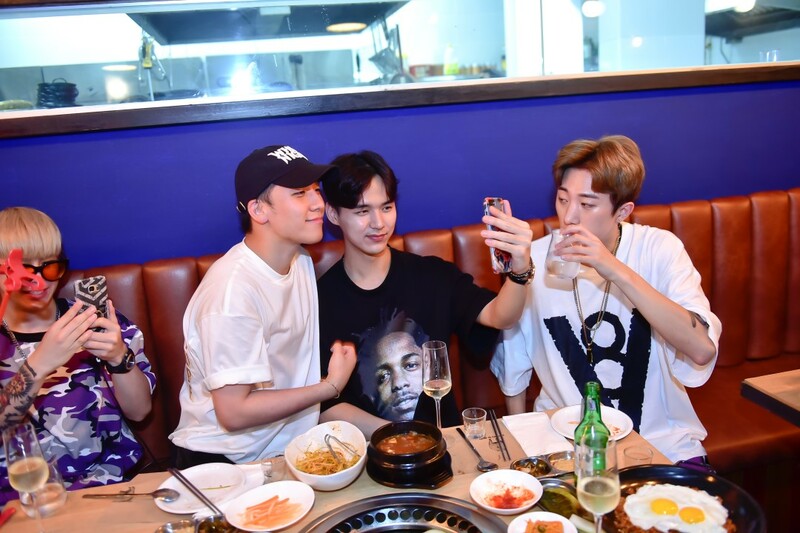 That was not the end of the night for the fans as most of them also headed to Zouk afterwards and partied the night away with Seungri, who needless to say, definitely gave Malaysian fans a “Bang Bang Bang” moment to remember with his recent visit to the country.